This year we are 104 years old and since the pit closed in 1993 we have been financially self supporting and have managed to continue surviving where unfortunately dozens of other colliery bands have not. We have our headquarters and rehearsal room in the old colliery pay office, the last remaining building left of the pit at the bottom of Ashton Street, opposite the disaster memorial garden. Did you know 83 men were killed down the mine in the explosion of 1951 and the band played at every funeral of each of the men who tragically lost their lives, which included 2 players from the band? We believe the building is also over 100 years old and is now showing signs of it's age and needs renovating to bring it up to modern standards and ensure it's survival for the next 100 years. We are starting up a junior band where people can join in and learn how to play brass instruments and learn new skills. We would also like to open it up to the community on days when it is not being used by the band. Our plan is to open it up for use by community groups and organisations looking for somewhere to meet and hold events, we also want to open up a cafe to serve the people of Easington and the many visitors to the nature reserve and coastal path. We are currently applying for grants to enable us to carry out the work which is expected to cost over £200,000. We also have to raise our own funding to form part of the cost and so we have set up a crowd funding page on the internet. If you feel you would like to donate then click the link below and also share it around as many friends and family as possible. We want to get our local community talking about this to raise awareness of our project. Please feel free to comment below on our project and express your interest in possibly using the building in the future after the work is complete. These positions would suit either an experienced player or a young, talented, ambitious player. Any other players expressing an interest in joining this progressive, exciting band will also be considered. We are absolutely thrilled with our 4th place at the North of England Championships. The band will be hosting an open rehearsal at Sunderland Millfield Salvation Army this Thursday 14th, 7.30 - 9.30. It all got alittle too much for some members of the band at the weekend. Day two of band camp in Scarborough. Sectionals this morning. The band are having a “band camp” weekend in Scarborough (near the sea), working hard on Seascapes for the up and coming North East Area Championships qualifier week tomorrow in Durham. 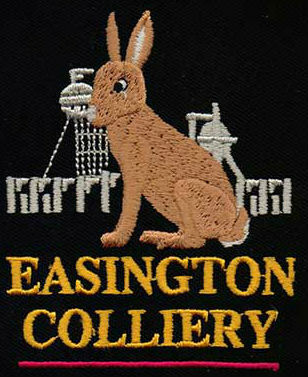 I am trying to find a John Handy who lives in the Easington Colliery area who breeds Dogs for Showing and also Judges Open Dog Shows. If you know him, please in-box me his details as I am trying to find him to ask him to Judge a Charity PDSA Two-Day event in September this year. If you know him, please by all means give him my details. After the success of our Autumn concert in 2017 with Easington Colliery Brass Band we are teaming up again to bring you another evening of song and music. And cake!! !